Hardwood floors are a popular flooring choice for many people because of their beauty and durability. However, if you have hardwood floors, you know you need to keep them clean so they can stand up to heavy use. While there are plenty of commercial hardwood floor cleaners on the market, they contain harmful chemicals that can irritate your skin, eyes, and throat. Plus, if you have young children or pets routinely playing on the floor, you likely want a more natural option for cleaning your hardwood. Not to mention, commercial hardwood floor cleaners can get expensive. 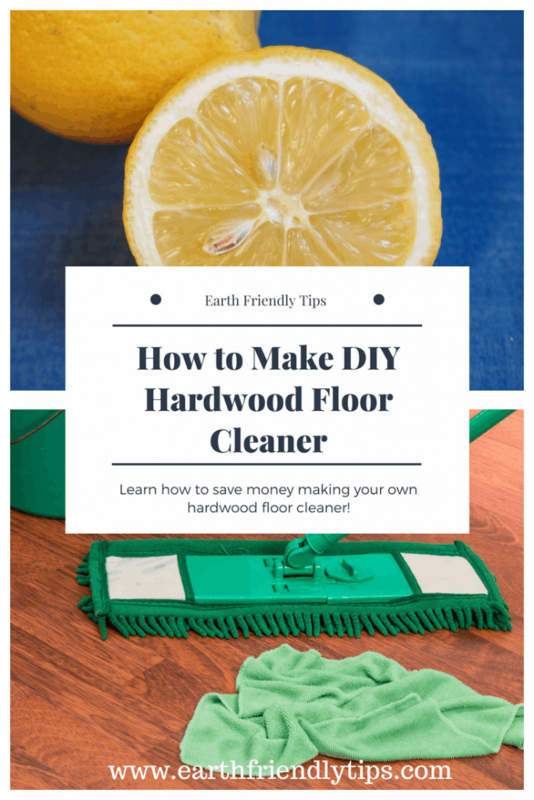 This is why I appreciate the health and environmental benefits you can get when you make your own DIY hardwood floor cleaner. You’ll notice this recipe doesn’t contain white vinegar. 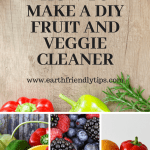 Although white vinegar is great for a variety of homemade cleaners, there are certain things you should never clean with vinegar, and hardwood floors are one of them. That’s why this recipe uses castile soap instead. The castile soap is unscented, so if you prefer your hardwood floor cleaner to have a light scent, I recommend using essential oils. My preferred combination is lemon essential oil and pine essential oil, but feel free to play with scents each time you make a new batch of cleaner to see what you like. 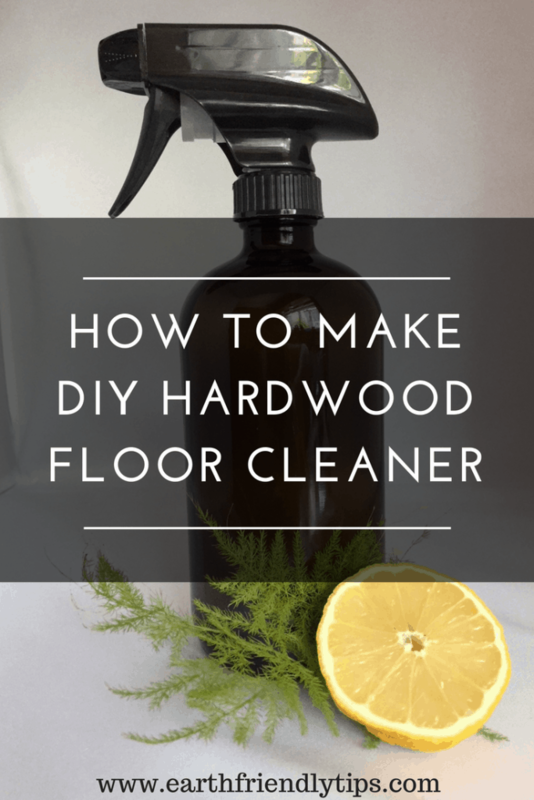 Excess moisture is the worst enemy of your hardwood floors, so you want to use a spray bottle to make sure you don’t saturate your floors with this natural hardwood floor cleaner. A dark-colored glass spray bottle works best since essential oils can wear down plastic. Additionally, microfiber cloths work best for cleaning hardwood floors. To make your cleaning waste-free, you can put a microfiber cloth on an old Swiffer mop. When you’re done cleaning, simply wash the microfiber cloth, and it’s ready for the next time you need it. Do you have laminate floors in your home? 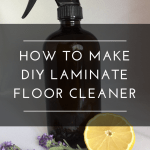 If so, check out how to make DIY laminate floor cleaner.